Hey there. How ya doin'? I am doing great. Life is wonderful, I am super happy, and I am having fun, fun, fun. Did you know that there are three levels of stress? 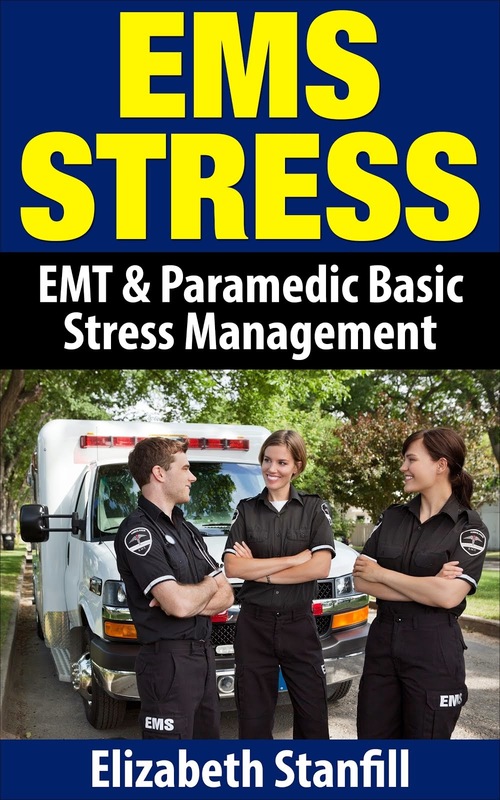 There is general stress, which is everyday stress, cumulative stress, which is also known as burnout, and there is critical stress, which happens when you are experiencing, or have experienced, some sort of crisis. Today, I would like to ramble on about everyday stress. Well, what I would really like to do is give you three things that you can do to relieve everyday stress. But first, what is everyday stress? Excellent question my friend. Everyday stress is when you are experiencing strain of some sort, like strain regarding work, strain regarding finances, strain regarding relationships (spouse, friends, children, family), strain regarding a busy schedule, and/or strain regarding your health. This strain can be from emotional, mental, physical, and/or spiritual pressure. So, if you are experiencing levels of everyday stress, here are three things you can do to relieve it. 1. Believe in yourself, and that you can handle anything. This is OH SO BIG! When we feel stressed out, we are usually thinking in our mind that this (whatever you are going through) is too much and we might not be able to handle it, and that is where stress creeps in. Confidence is the very foundation of relieving stress and what I mean by that is, it is the opposite of fear, which provokes stress. Let me give you an example. The other week, I was talking to an Emergency Room Nurse, and she recently got her RN. She used to be an LVN, which is just below an RN on the education and pay scale. While she was going through her training/clinical, she was super duper overwhelmed and she actually was holding the beliefs that she may not make it through her training because it was difficult. Those thoughts of not believing she would make it are from her level of self-confidence, caused mental strain, and manifested into emotional and physical strain. What is a person to do when they think that they are not going to be able to handle it? You look at the evidence, and you tell yourself, I can handle this, and I will be fine. The evidence is your history. You have been very successful thus far in life, you are functioning as a productive person in society, you certainly have been through worse, and you survived, yes? YES! When we believe in ourselves, and we know we can handle it, we relieve our stress, and that helps us be more successful at whatever we are doing. 2. Prioritize your life. This is so very important in order to relieve stress for two reasons, one we will overcome feelings of being overwhelmed, which is stressful, when we have too much on our plate, and two we get the most important things done and eliminate beating ourselves up, which is stressful, when we don't get things done. In order to prioritize your life, ask yourself, "What do I need to do?" Write the answer down in bullet form, number the list in priority, do the most important thing first, cross it off the list when you finish, and continue onto the next important item. When we write a list of all the things we have to do, on a daily basis, number them in priority, and do the most important thing first, we can learn not only to be stress free by being super productive, we can create a habit of feeling constructive. 3. Learn to relax, and practice it. Aye caramba, this is OH SO BIG, as well. When we are stressed, we feel strain (repeat ;0)), and when we feel strain we are tense, and maybe a lil uptight. The opposite of tension is relaxation. When we get tense within our everyday stress, it turns into a HUGE habit. What a better habit to have than relaxing? It is my personal opinion, and experience, that many, and I mean many, people are addicted to tension. When I speak with, and interview people who are experiencing stress, they always say they are tired, and they drink a whole lotta caffeinated drinks like coffee, and energy drinks. Caffeine will engage and mimics the physical stress response. Caffeine is a culprit of stress and anxiety. People are so addicted to being energized that when they are tired, they may just be relaxed, and they actually think they are tired. What I am saying is, many individuals want so much to feel energized, how do they know that they are not relaxed rather than tired?!? When we formally learn to relax, and practice it, we can easily recognize tension, and turn it into relaxation immediately. We can have the habit of being relaxed. Knowing how to relax, and having the habit of being relaxed provides an awareness, and a knowingness of safety and security, which is the opposite of nervousness, and anxiousness. The most successful people I know are calm and relaxed the majority of the time. This is either a trait they were born with, or a habit that they developed. Learn to relax and practice it, and you will just watch yourself destress. Okee dokee, that's all I got. Hope you have a great day.